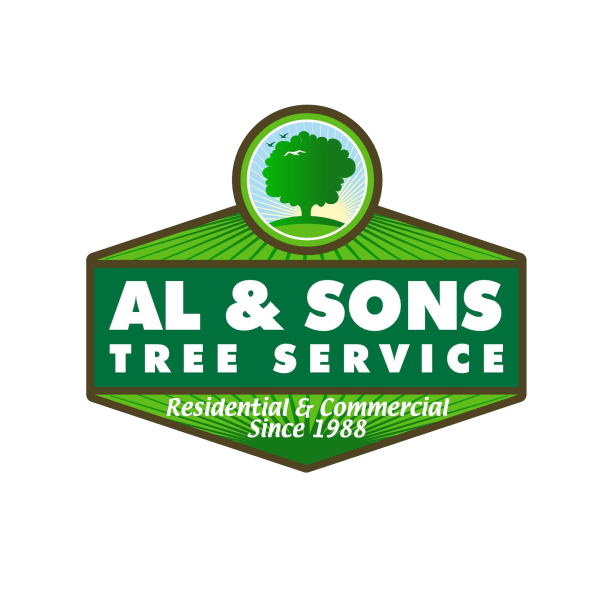 increase light penetration and air movement through the crown of the tree. 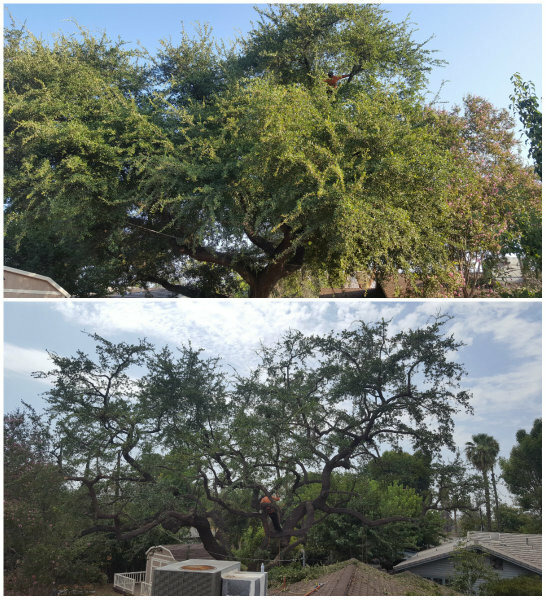 Regularly pruning of your trees will result in an all around healthier tree. 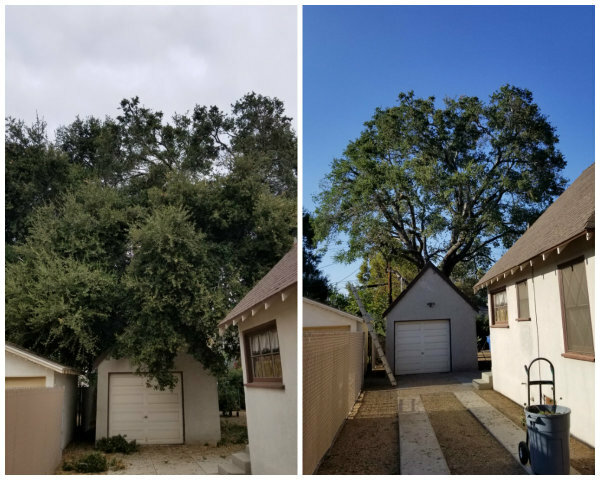 Trees with dead, diseased or infested branches that are not removed may fall in heavy winds, severe storms or even when conditions are ideal. 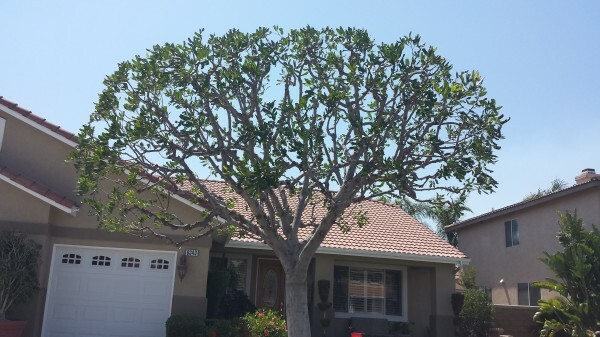 Potentially causing damage to your property or seriously injuring someone. 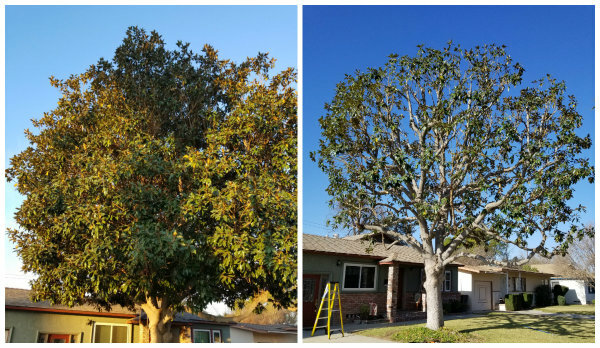 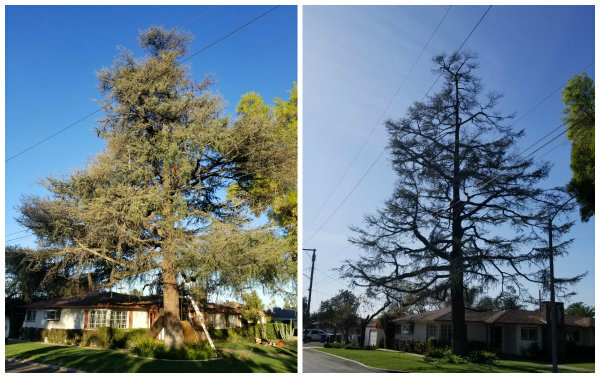 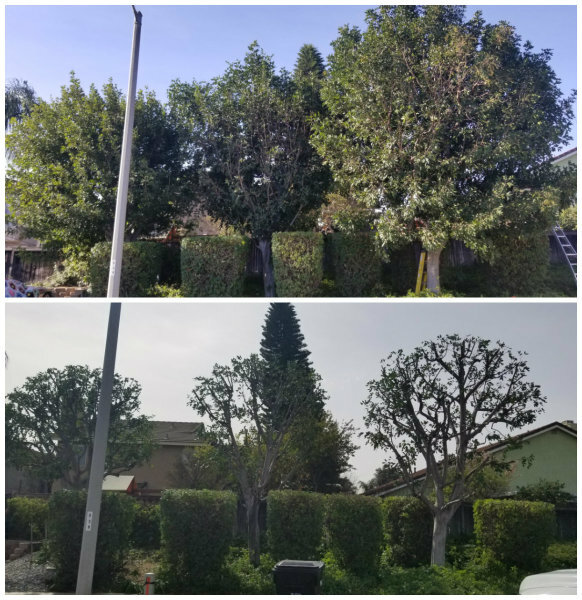 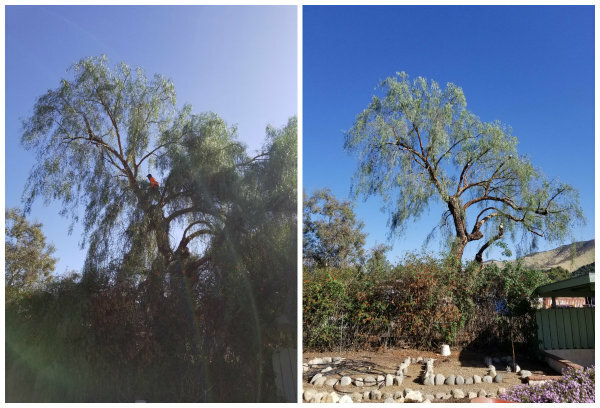 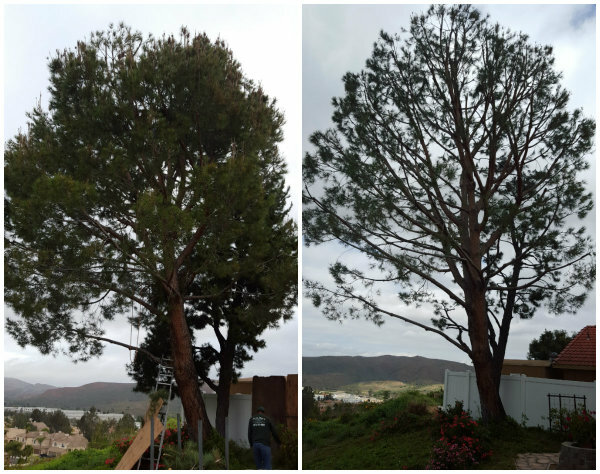 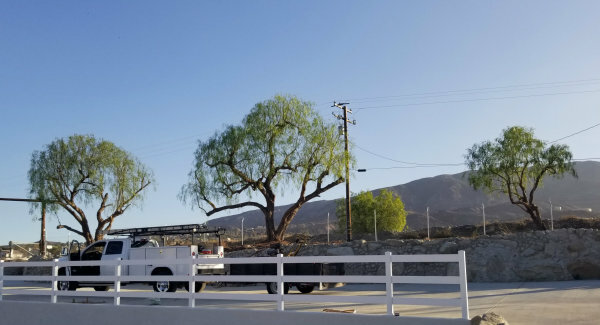 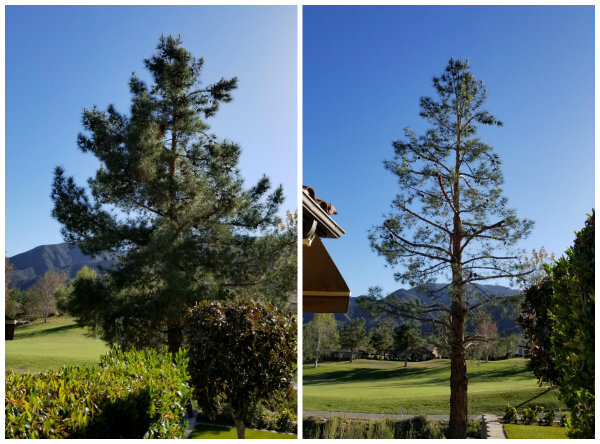 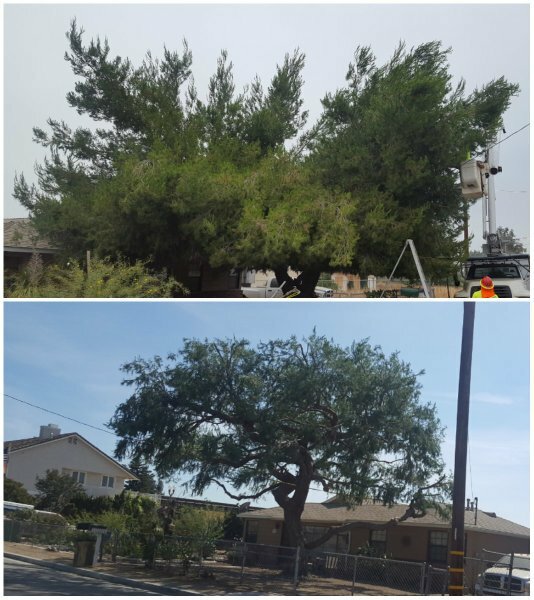 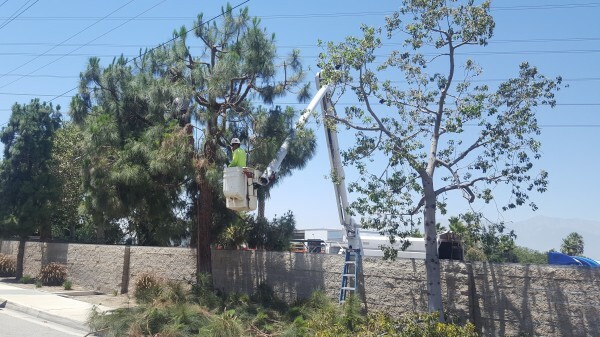 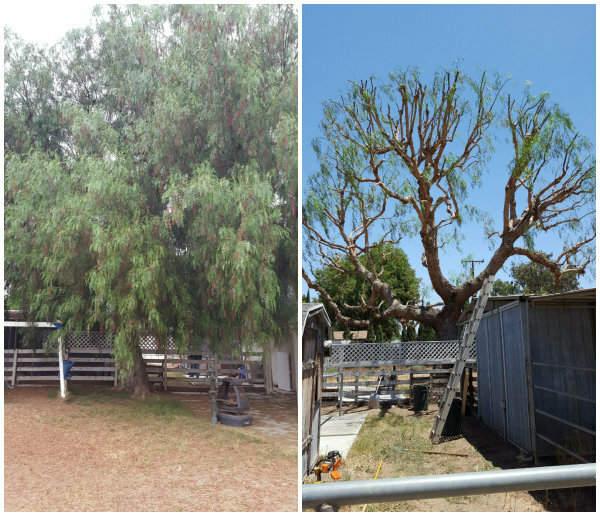 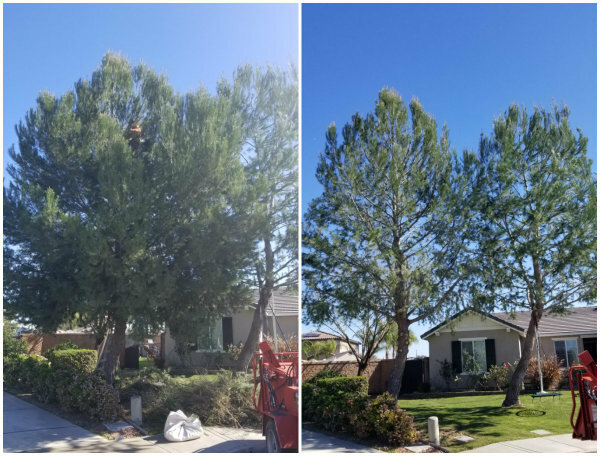 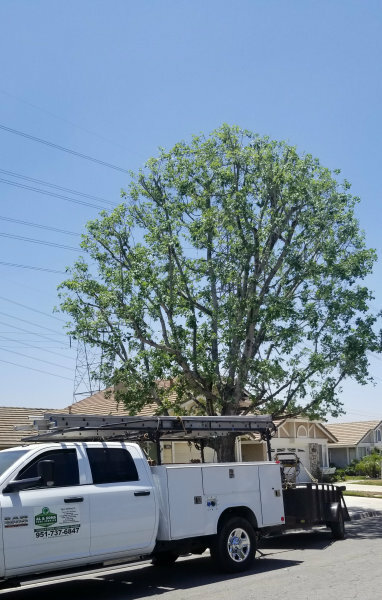 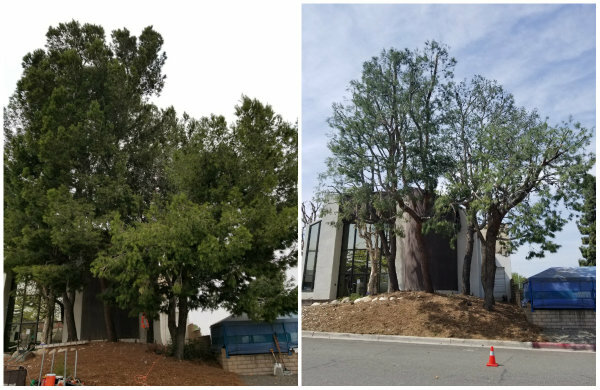 Tree trimming also helps the air flow freely through your tree, reducing the threat of your tree being blown over when the Santa Ana winds whip up. 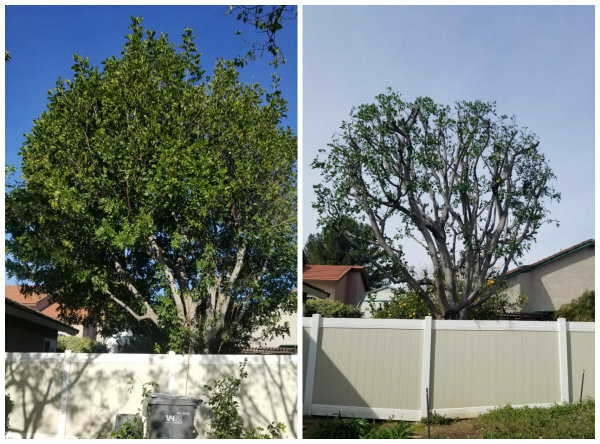 When using the proper technique, tree pruning also helps your tree develop a strong root system, helping it stay grounded and combat disease. 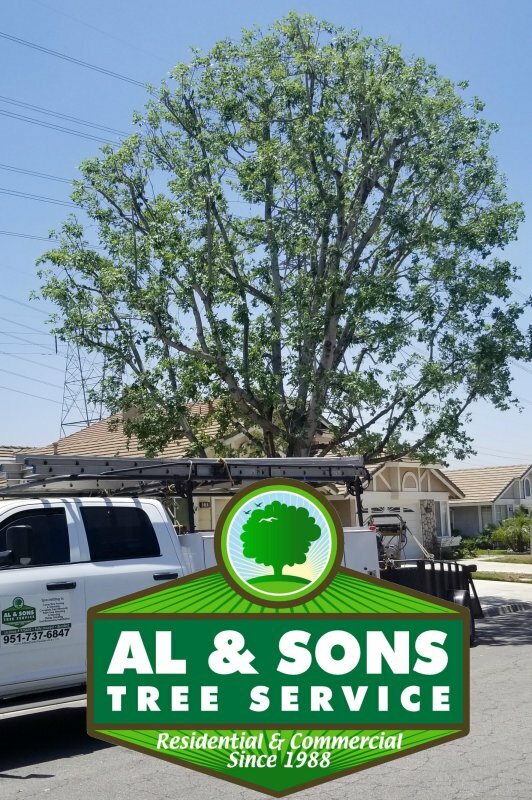 When your trees are properly pruned, the branches can be trimmed to help the tree grow into a certain configuration of limbs and branches to ensure the the trees structure is more secure. 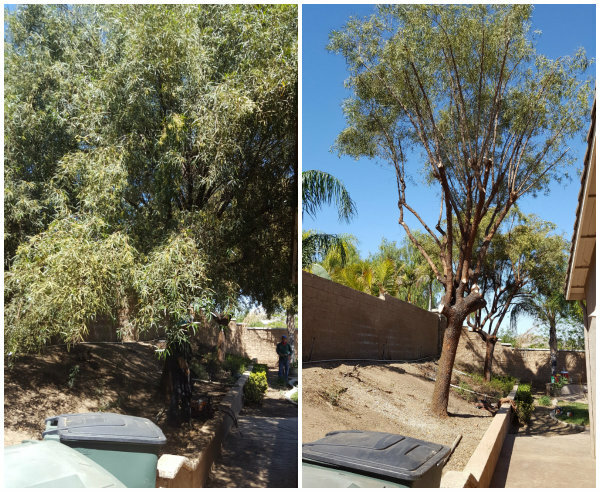 A neglected tree can be a real eyesore, affecting the overall appearance of your property. 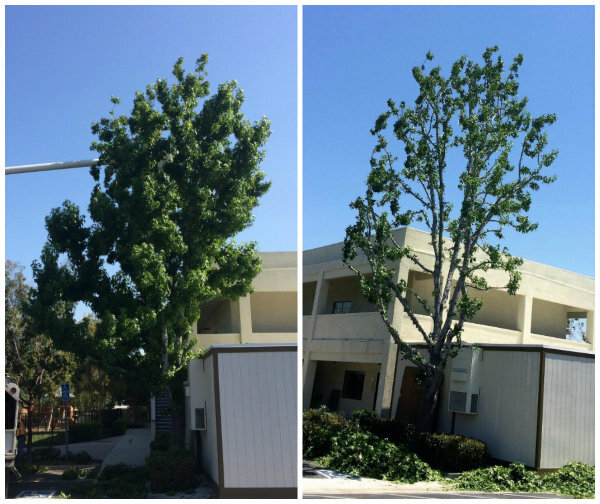 Trees that aren't trimmed regularly can grow to look unbalanced and misshapen. 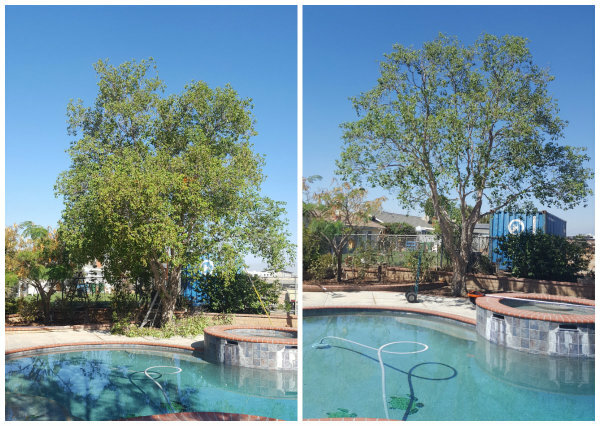 Corrective pruning will help bring out your trees natural beauty. 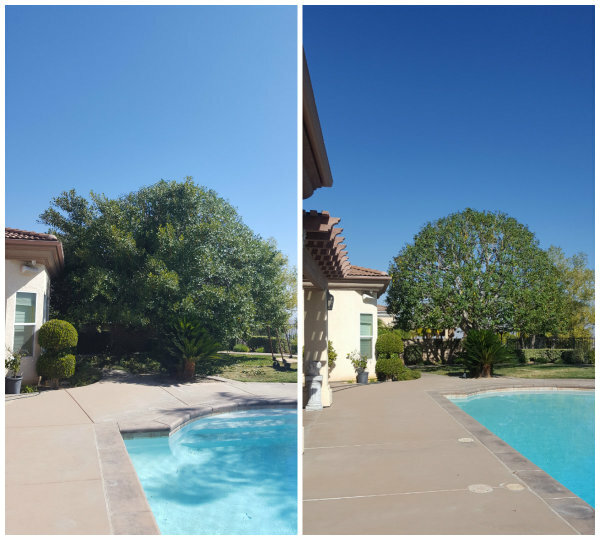 Ultimately improving your landscape by making your trees look more healthy and attractive.